Based in the heart of the Midlands, and only an hour away from London. 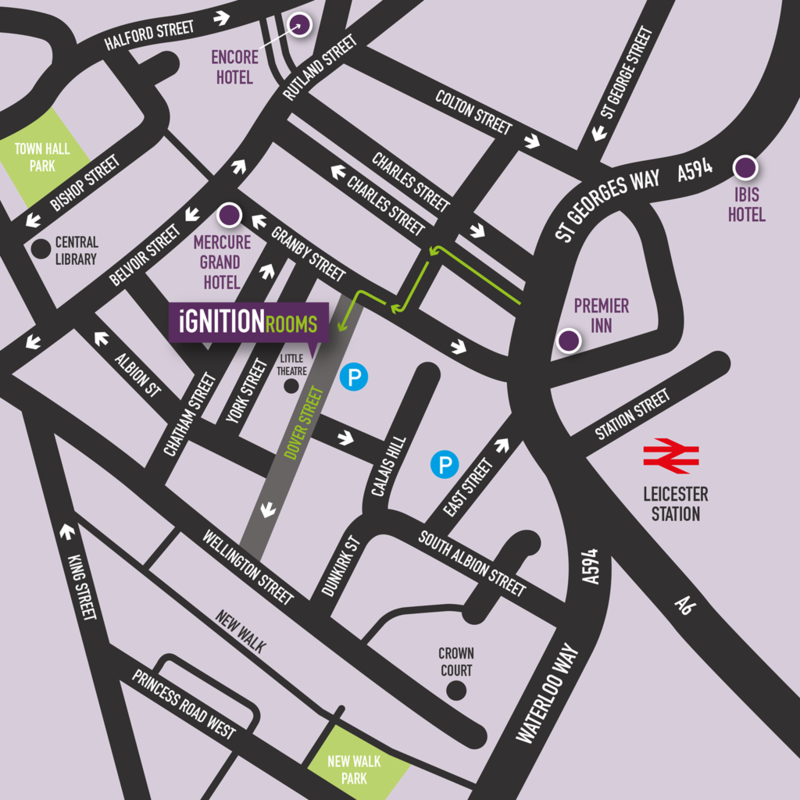 Ignition Rooms is centrally located in the Midlands, just one hour from London and two minutes walk from the train station. Our new facility is easy to find in Leicester city centre. We are geared up to help you make the most of your session, and would love to welcome you here.